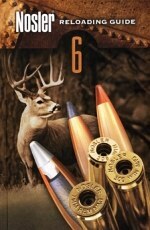 The much-anticipated Nosler Reloading Guide Number Six is now on sale for $19.95 at Powder Valley. 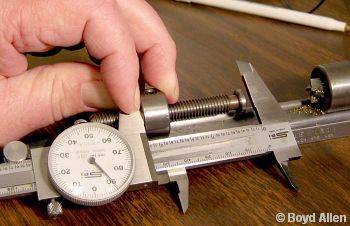 The Nosler Guide has long been considered one of the better reloading guides in print, with good coverage of basic reloading techniques. The greatly expanded 6th edition features 848 pages of information, covering 117 cartridges. You’ll find freshly-fired data for the entire line of Nosler bullets, as well as data for many of the popular, new factory cartridges. Load data for each cartridge is presented in a graphic format, with starting, intermediate and maximum loads for each powder (and bullet weight) listed. Nosler’s system uses a simple, easy-to-read bar graphs to show velocity variation between powders. Nosler introduces each cartridge section with personal commentaries and tips from some of the world’s best-known hunters, shooters and writers. This knowledgeable advice supplements the “raw data”, helping you select the right bullet and powder for your particular application. Nosler also offers “Comments From the Lab” for many cartridges. These Lab Comments, written by the Nosler ballistics team, assist in working up accurate, effective loads. Share the post "Nosler Reloading Guide #6 on Sale"